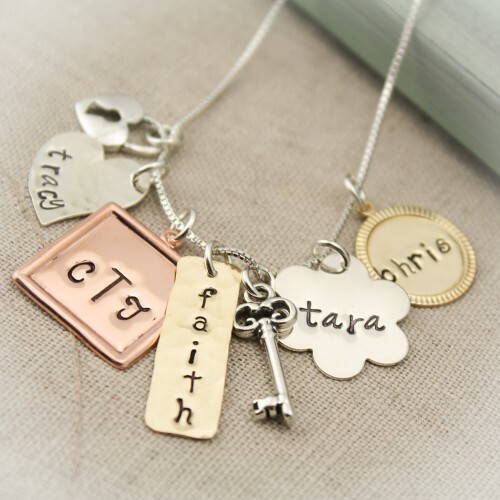 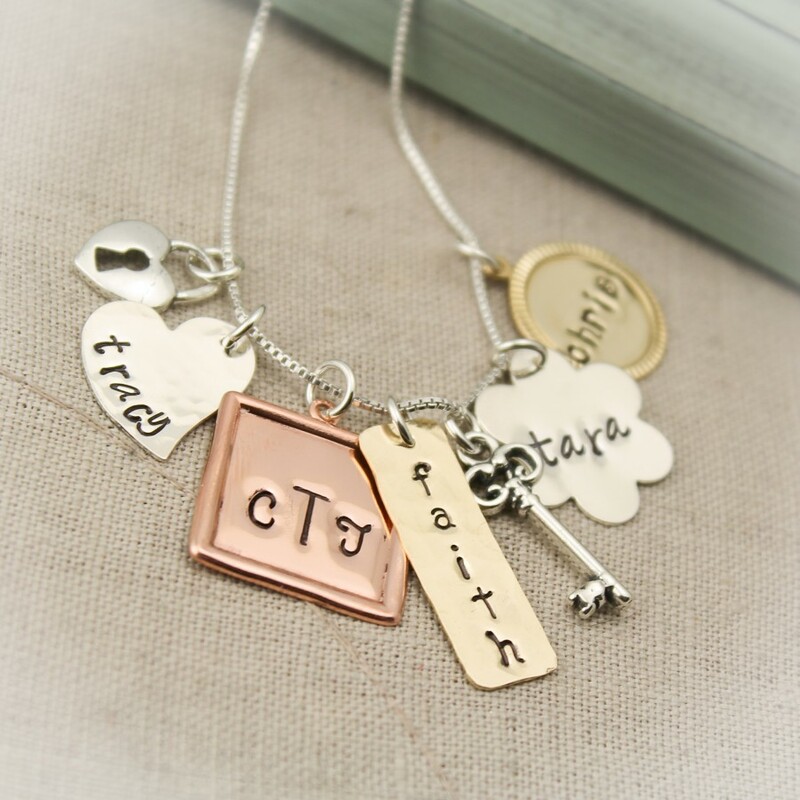 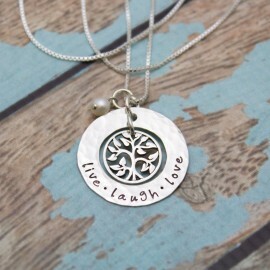 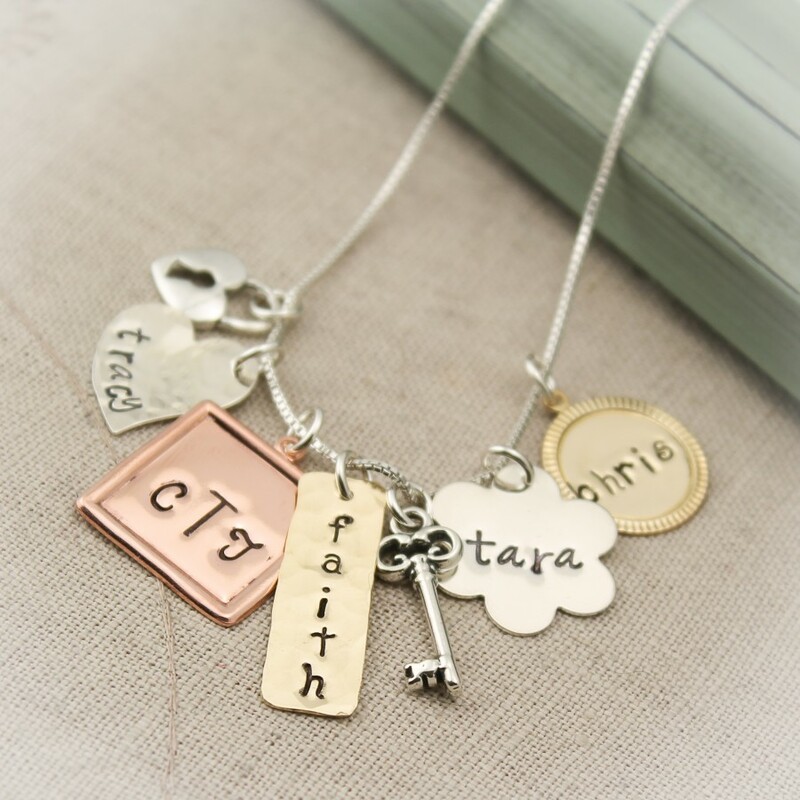 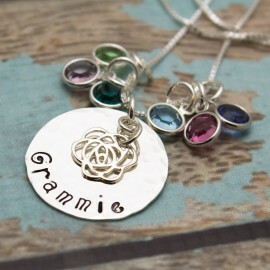 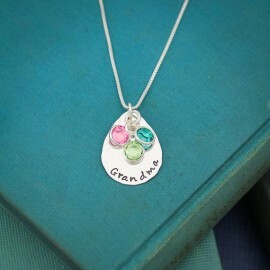 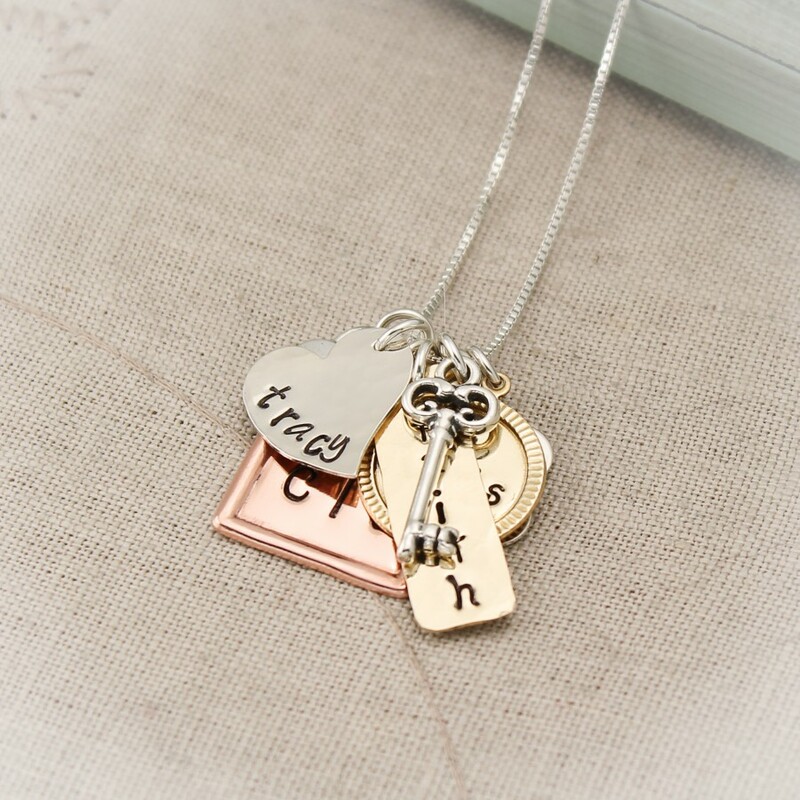 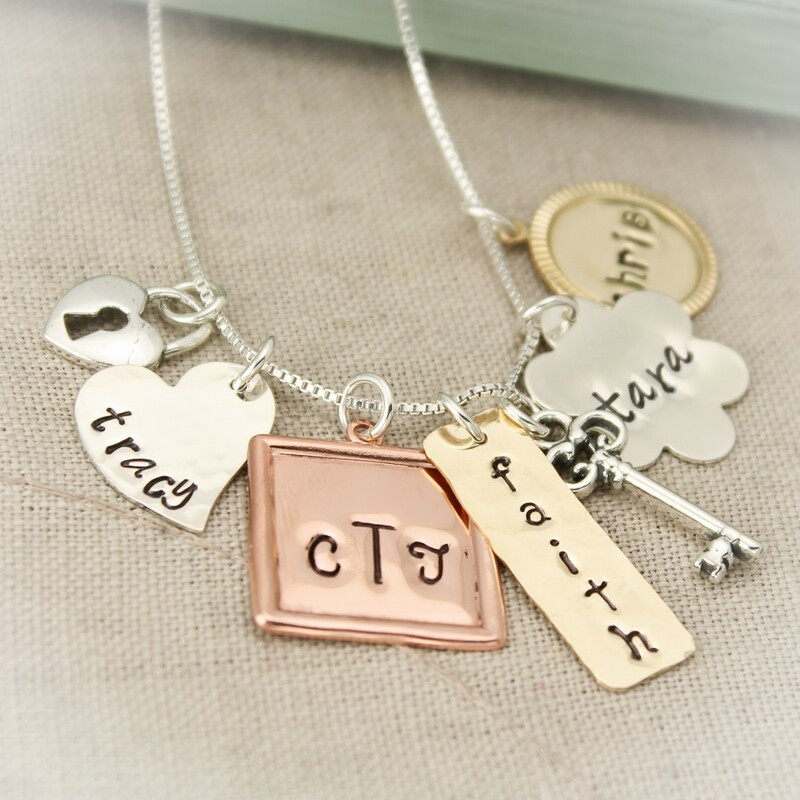 Lovely necklace with a selection of charms that can be customized for each family member. 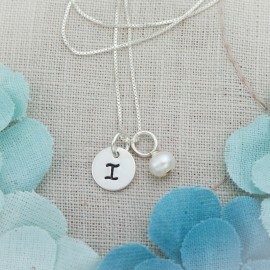 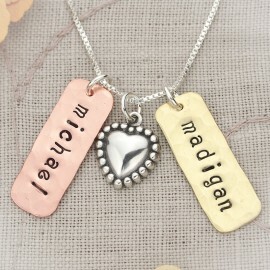 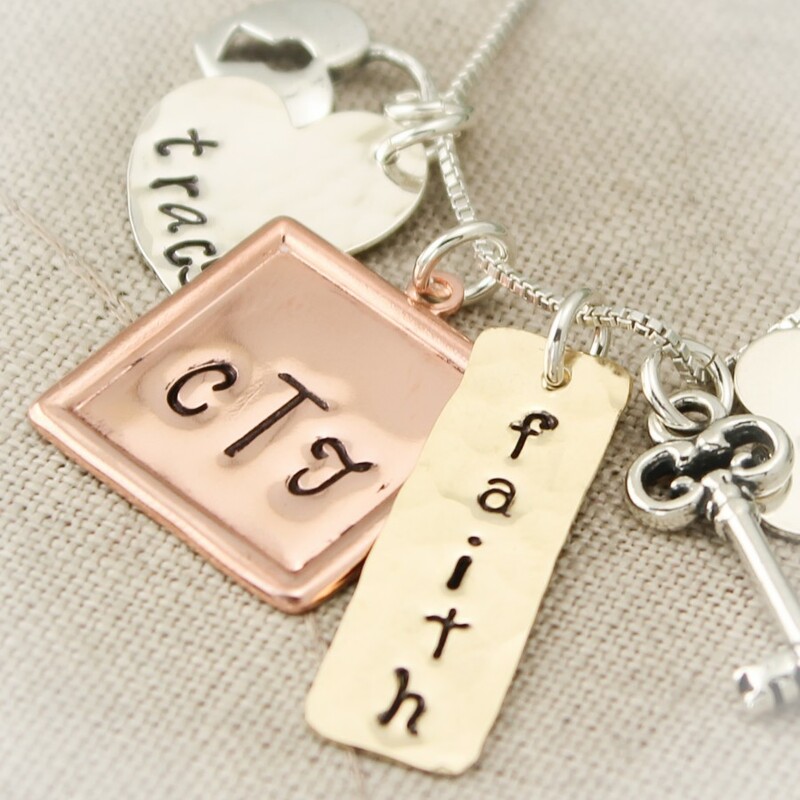 PERSONALIZE THIS NECKLACE WITH YOUR owns NAMES, WORDS and INITIALS! 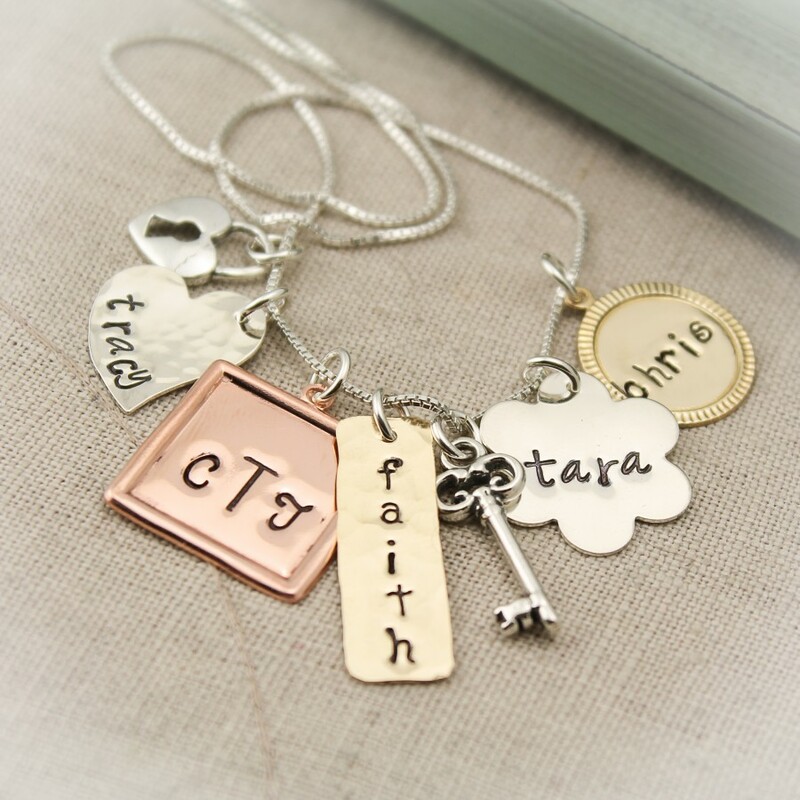 You will receive five sterling silver, copper, and brass tags personalized with your names, initials, words, or dates, a sterling silver vintage skeleton key and lock charm all dangling from a sterling silver box or ball chain, in the length of your choice. 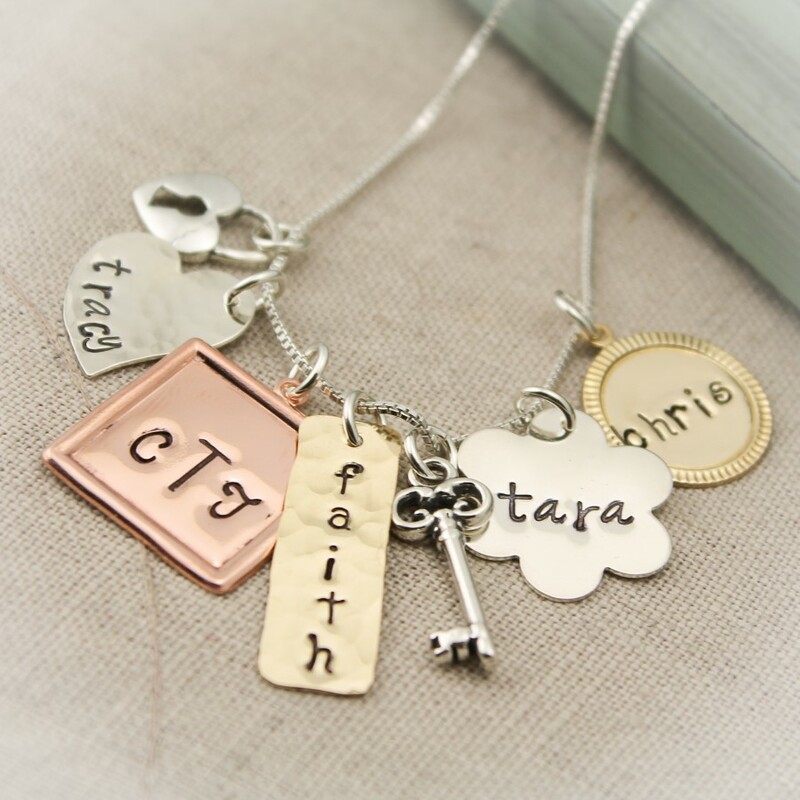 This necklace comes with choice of a 16” or 18” chain. 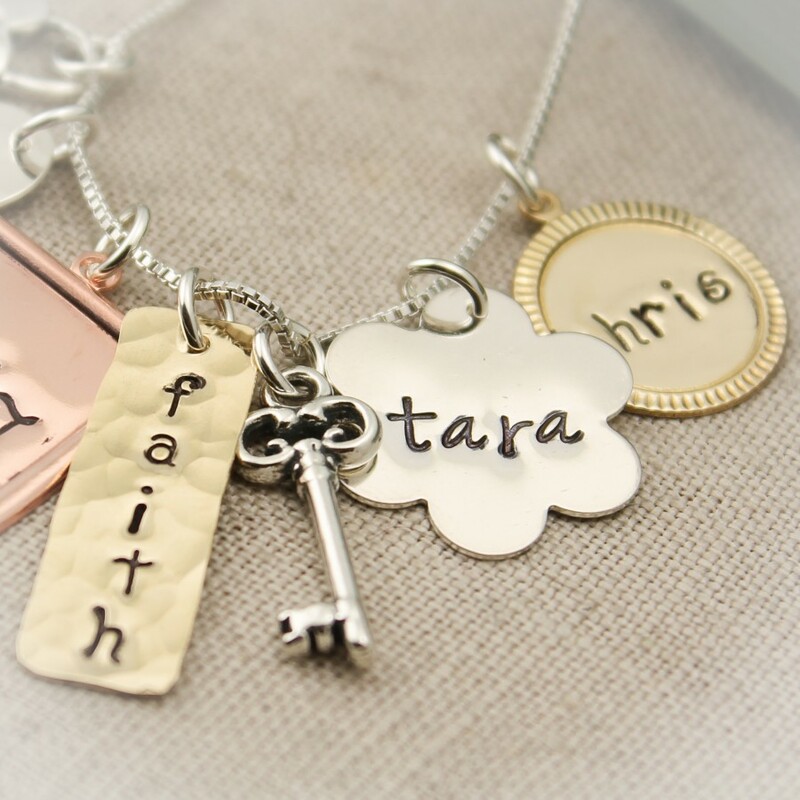 Other options of chains are available. 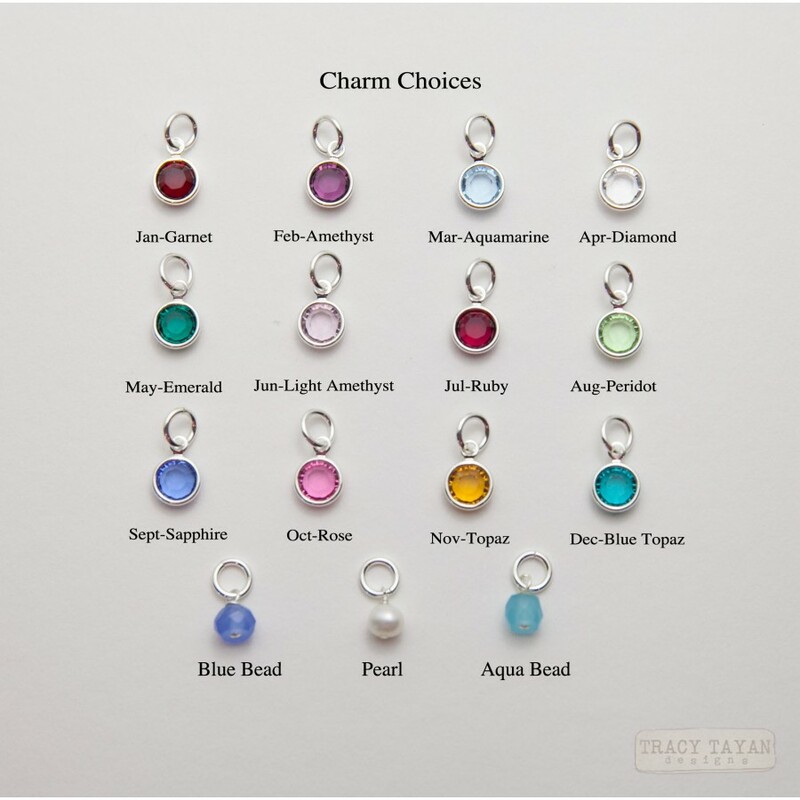 Add on birthstone charms to represent each of your children or just a pearl.